The so-called “Beaubears Island Players” have really done it this time. 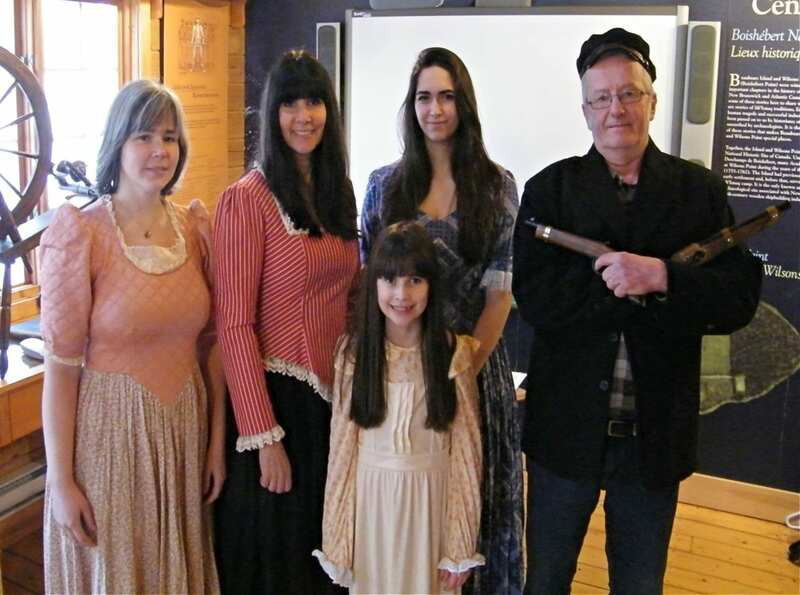 The informal community theatre troupe, assembled by the Friends of Beaubears Island, has, since 2014, brought history to life on the stage, but they’ve never done anything quite like this. 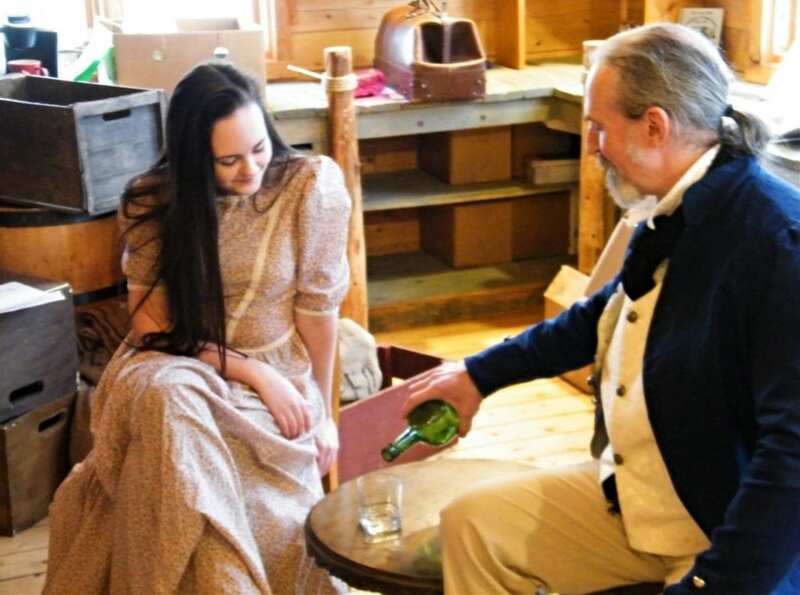 In their pursuit to help raise funds to extend the employment of area students interpreting the past on Beaubears Island, they plan to present not one, but five stories, in one fun-filled performance. Even better, and in the spirit of expanding the experience, this performance also doubles the effect of your attendance, by giving aid to two local youth-centred endeavours. As in the past, proceeds will help local students spend more time at work in our area, educating others about our past and two sites of national historic significance, through the Beaubears Island Summer Student Program. In addition, admissions will also benefit the 2020 Trip to Africa by local high school students. The production promises a great many stories thought to have been forgotten, and are laced with humour. All in all, the cast hopes the show will fill the audience with interesting facts, while tickling you at the same time. This is certainly an event that you’ll long remember. 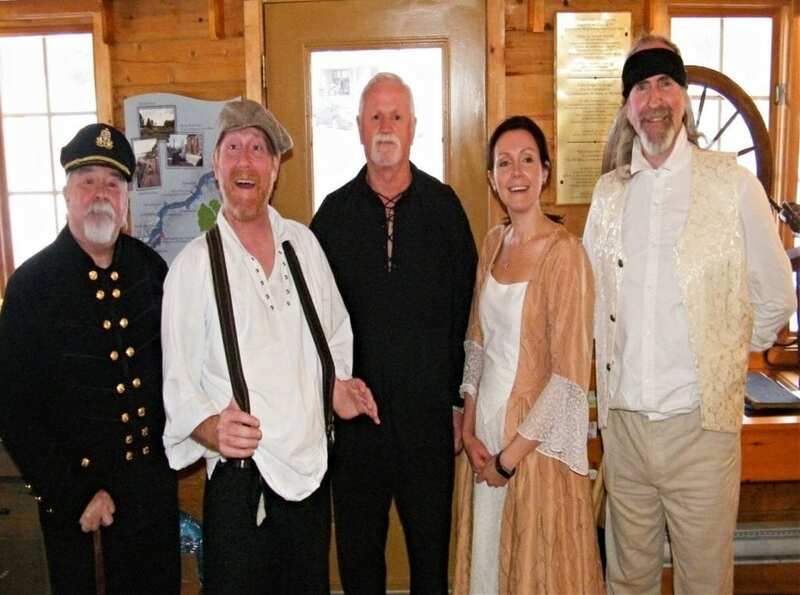 Tall and True is a five-part theatrical production charting the course of 6 Beaubears Island vessels, and what became of them after leaving Miramichi. The performance will hit the stage at the Beaverbrook Kin Centre from April 26-28, starting at 7pm. Tickets ($15) available at Brookdale Flower Shop, Kingston’s Petro-Canada, Nelson Post Office, or by calling 622-8526. Proceeds to benefit the Friends of Beaubears Island Summer Student Program and the 2020 Trip to Africa by local high school students. Desserts will be a variety of pies. The Lovell’s Last Battle tells the story of a ship built on the Island in 1797, which sailed the seas armed with twelve six-pound cannons. This tale of action in the midst of the War of the 2nd Coalition against Napoleon, sees the faithful crew of Nabby, Sterling, and Silas try to protect the mysterious Louisa, a stowaway, all the while trying to defend themselves against four approaching enemy vessels. In Lament of Beaufort Castle takes place in 1828, when an intrepid Captain, Peter Jackson, sets off to Africa, and eventually faces down a perilous storm off the coast of Nigeria. A tale of drama in the age of sail, a fellow Captain, John Arden Clegg, and his daughter, Constance, offer their support to the young man facing seemingly impossible odds. An UnStandard Voyage takes it’s name from a ship built at the Joseph Russell shipyard in 1848. It tells the story of four Irish migrants and their 1852 voyage from London to Adelaide. Mary Dennison, a farming magnate, is hoping to begin a lucrative business in Oceania, while keeping the Captain on a short tether during the voyage. Jane Green meanwhile, is looking forward to a reunion with her husband, and trying to secure work for herself. Finally, sisters Nora and Margaret Fogarty are just looking to steer clear of trouble, though trouble seems to have a way of finding them. Horns to Hold One’s Halo is an interesting exploration of how people can be remembered in vastly different ways. Capt. George Pottinger, who skippered both the Equator, and the Ocean Bride, was a Shetland fisherman who had risen quickly through the ranks of the merchant marine. Florida socialite Susannah Guthry was certainly impressed by him. Olive, a domestic retainer, thinks there’s something about him people aren’t talking about. Businessman, Henry Milvain, thought him to be one of the outstanding merchant captains of his time, but a Sailor who served under Capt. Pottinger tells a different story. The Sea Mew-tiny closes the performance with retelling of an 1869 insurrection aboard the titular ship, on the way to New Zealand. Capt Harness has lost control of the reins of his ship to Mr. Van Haigh, and though passengers like Miss Bell, her ill brother, and Dr. Ward are very concerned, the only thing bothering crewmen Tom and Bill is the definite lack of rum aboard. This romp is sure to be a rib-tickling affair. The production promises a great many interesting facts, stories thought to have been forgotten, and is certainly an event that you’ll long remember. Even better, your attendance helps local students spend more time at work in our area, educating others about our past and two sites of national historic significance. For further details, contact 622-8526, or info@beaubearsisland.ca.